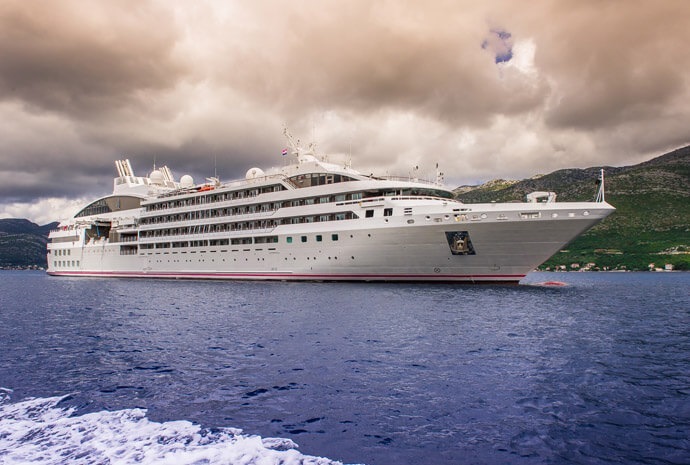 Compagnie du Ponant is a French luxury operator with three specialist expedition ships, L’Austral, Le Boreal & Le Soleal, which provide a private yacht ambiance with French cuisine and superb service, without compromising the true expedition experience. 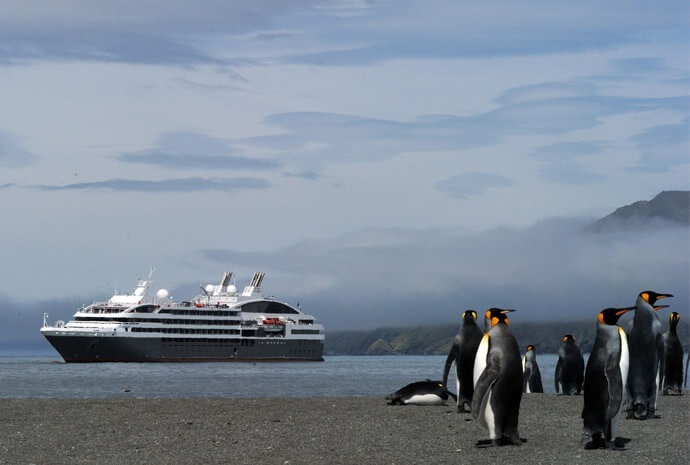 Compagnie du Ponant is a French small ship operator, with three sister luxury expedition ships, L’Austral, Le Boreal and Le Soleal. Le Soleal only came into operation in 2013 and each ship provides a private yacht type of ambiance with gastronomic French cuisine and the highest standards of service. 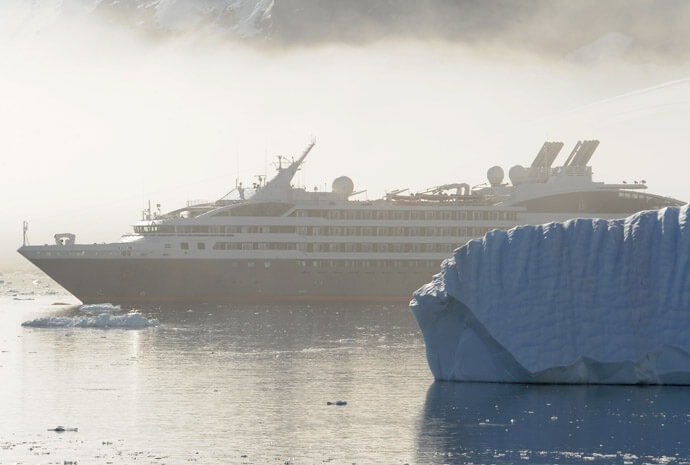 The sleek lines of L’Austral, Le Boreal & Le Soleal make these the most stylish ships cruising the waters of the Arctic and the Antarctic. 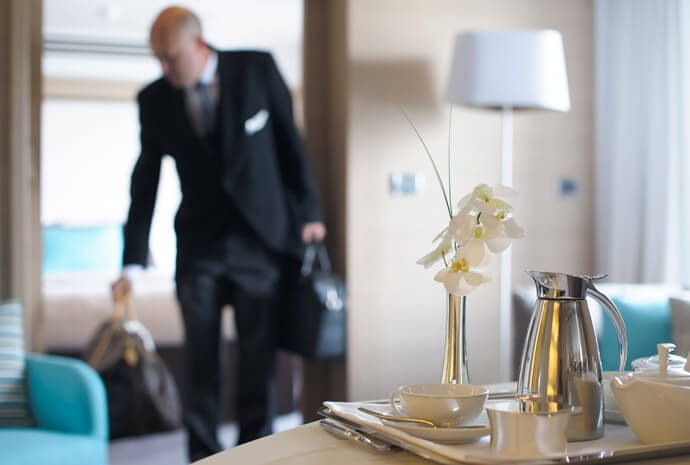 All 132 (maximum configuration) cabins have panoramic sea views and are equipped with flat-screen TV with video on demand, DVD, Ipod dock, wi-fi internet access, satellite telephone, minibar, etc. There is also 24 hour room service. There are two restaurants on board L’Austral, Le Boreal & Le Soleal. The gastronomic restaurant is available for table service breakfast, lunch and dinner with fine wines, whilst the grill offers informal buffet breakfast and lunch and themed dinners. 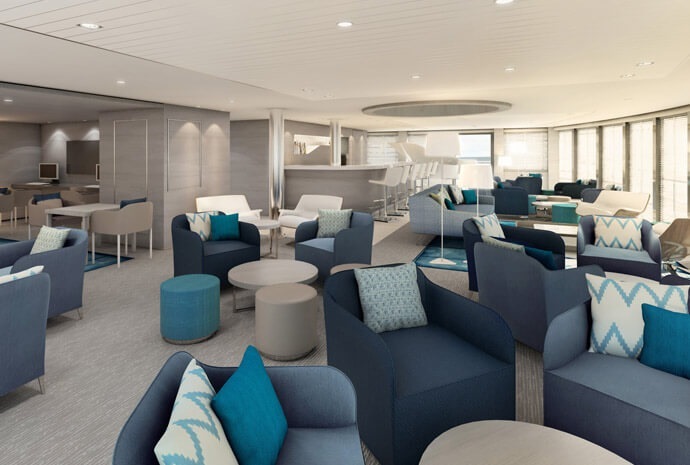 Other public areas on L’Austral, Le Boreal & Le Soleal include a theatre for lectures, presentations and entertainment, a main lounge and a panorama lounge on the upper deck and a fitness and beauty area. Shore and ice excursions from L’Austral, Le Boreal & Le Soleal are taken on board rigid inflatable zodiacs with experienced guides. These experts are internationally recognised in specialist subjects such as ornithology and natural history, photography, geology and polar travel and history and also offer a series of lecture programmes throughout the expedition. A luxury expedition on board L’Austral, Le Boreal or Le Soleal is ideal for those who want to experience all the aspects of a polar adventure including ice, wildlife and the elements combined with a stimulating educational programme but not compromise on comfort, the highest standards of service and the finest cuisine. Languages on board are French and English and L’Austral, Le Boreal or Le Soleal are the best options if you wish to take children with you.